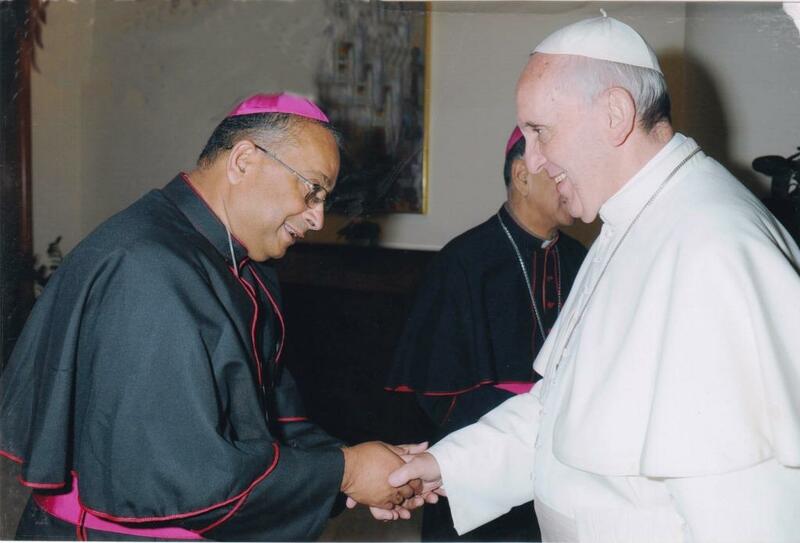 1st August, Miao: Bishop George met Pope Francis and Cardinal Amatho in Rome on June 26, 2013 to request for the speedy process for the Cause of Matyrdom for Rev. Frs. Krick and Bourry, together with Arch Bishop Emeritus Thomas Menamparambil SDB. Frs. Krick and Bourry were French Missionaries who were killed by a tribal Chief in Somme village in Lohit District. Diocese of Miao, under the initiative of Bishop George, took up the cause of martyrdom for these two great missionaries who spread the first seed of Christianity in Arunachal Pradesh.